Another network is helping to take the thought work out of search. 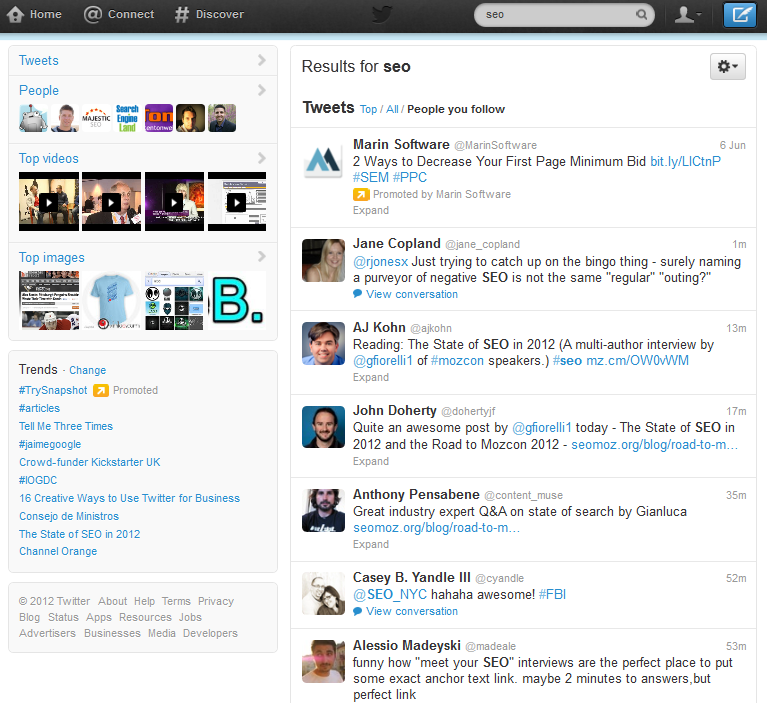 Twitter recently announced the launch of two new features: Autocomplete and ‘People You Follow’ search results. In his post on the Twitter blog, Frost Li discusses the benefits to users, including spelling corrections, related search suggestions, real-name search for Twitter handles, and follower-only results. Claim your Twitter account – Basic, but necessary. Don’t worry about jumping into the deep end with a social media marketing strategy. 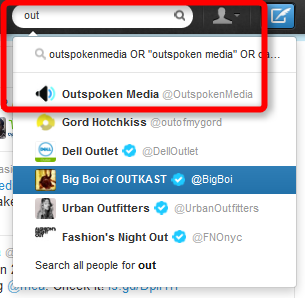 But make sure your company-controlled account is available in suggested results when users search for your brand name. Start small. Start today. Monitor suggested search results for your brand – While the feature seems to only be useful for big brands at the moment, we suspect related search will be a more useful feature as the algorithm becomes more sophisticated. Monitoring suggested search results may help you gauge sentiment and understand the neighborhood of topics where your brand is mentioned. Simply search for your brand, and related search terms will display above search results. 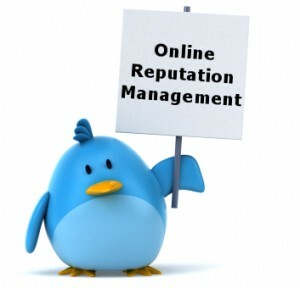 Follow the experts – Twitter has always been a great tool for monitoring conversations happening within your industry. However, it’s easy to get caught up in the follow-as-many-people-as-possible frenzy with the goal of accumulating more followers. While building up a follower base is important, make sure the accounts you follow tweet quality information on a regular basis. Following high-quality accounts will allow you to get the most out of the The ‘People You Follow’ search filter so you can easily search conversations in your industry for relevant keywords and get the best results. Once you know what the experts are talking about, you can adjust your messaging on Twitter to be more relevant to what’s happening in your industry. Danika Atkins was a Marketing Analyst at Outspoken Media.